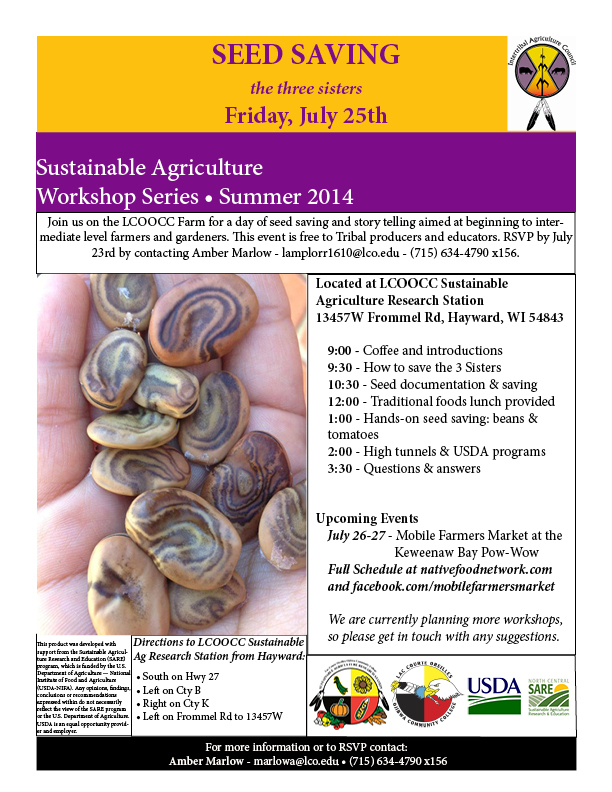 Join us at the LCO Community College Sustainable Agriculture Research Station for a beginners course in seed saving. Learn where and when to plant the three sisters for the best seeds. This course is offered for FREE to Tribal Members and educators. This entry was posted in Uncategorized by leanoh. Bookmark the permalink.